An Affair to Remember! - A Rose Is A Rose Is A Rose! 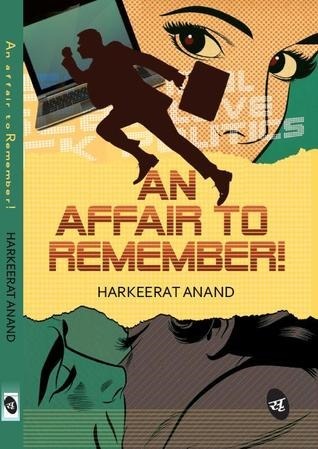 HomeBOOKSBook ReviewAn Affair to Remember! Title: An Affair to Remember ! Filled with cheesy motivational posters, computer workstations crammed side by side, dumb bosses / blonde’s and bored employees looking for a career change – ABCDEF Corp., a software giant, rankles with a sameness of a suffocating software giants existence. Until one man and his best friend take things into their hands. What follows is a series of misadventures, flushing both men down a pink-caked urinal of self-destruction. Set in a city that once was, in an IT giant that once was, the two men journey through a cobweb of friendship, ambition, embezzlement, crime and most importantly, love. Will they survive ABCDEF Corp.? More so, will ABCDEF Corp. survive them? Peppy, wild and bitterly sarcastic, An Affair to Remember! is a modern-day retelling of a decades-old classic. Before reading An Affair to Remember!, I was debating between the two books, I had in my hands. I read the first page of An Affair to Remember!, which is a few lines on ‘Dedicated To’ and I smiled. Then I moved to the second page which is a sort of warning and the book in my hand got a bit wider smile and when I read the prologue, which is aptly titled ‘Before the madness begins’, there was no doubt in my mind about the book that would be taken up for immediate reading. As I started reading An Affair to Remember! I found it to be an entertaining, delightfully light-hearted and fun and funny, witty and sarcastic, with an interestingly regular plot and equally regular characters. And then he and his friend do try to get out of this giant software company but in style and that’s what An Affair to Remember! is all about! And of course, there’s an affair with a magical beauty of his dreams too. While initially funny, I almost got tired of it, to put it down for a short while as I felt that the storyline had lost its steam, but there was just enough hope to keep me going. I’m glad I did. After some time, the plot picked up its pace and the story ended in a very unusual manner. This book is a nice read, written in a very clear and engaging style. Also that is just 154 paged story which has oodles of wit and sarcasm, An Affair to Remember! is a quick read that will make you smile and laugh too. Sounds like a fun book! Thanks for the review! It is an interesting one. I love witty and humorous books! The name is so misleading – I thought it was a romance! Glad you enjoyed it eventually. O yes, I find it interesting that it happens to you too – leaving the book in the middle of it 🙂 I can’t tell you how many half-read books I have left in between, including fiction 🙂 If the narration/plot becomes repetitive and drags out it is no fun really! 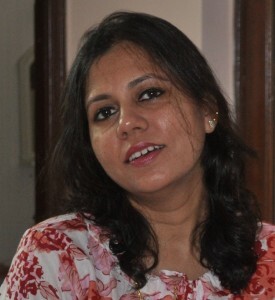 Shilpa, you write a good review – giving enough taste of the book without revealing how the plot unfolds in the book. Enjoyed reading this one. I’ve heard of this but not read it yet. Thanks for introducing it to us, Shilpa! I can certainly relate to working in an office that makes you miserable! I did that for almost 20 years. It sounds like a great read. 20 years!! OMG!! Do check this book, whenever possible, Stephanie! I figured it was a romance novel too till I read your review! YES ITS BEEN LONG SINCE I READ A BOOK, GUESS NEED TO BUY THIS ONE ! well I was going to give this a miss as the title sounds on romantic side and I am not very romantic person .. I remember reading your review of Two Performance Artists Kidnap Their Boss… And it was an insightful read! When did you update your Oriental Theme? I did it on 28th May. I was hoping that somebody would have looked into the error by now! I really love this theme and want to get it back on my blog. Hope the code is sorted ASAP!! Thanks for your reply. I also left a message to the developer on his webiste and on WordPress, but no answer yet. Anyway, I have my site restored by my host, with a fee though. And the last few posts were gone. Ouch!